Today started uneventfully, except for doing laundry at the campground. 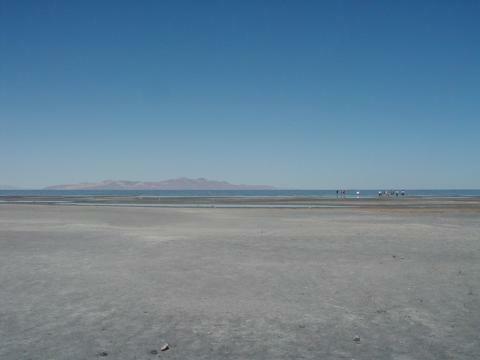 Since we didn't find anything really interesting in Salt Lake City, we decided to check out Great Salt Lake. 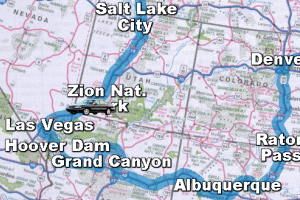 The Great Salt Lake is just what you'd expect: a big lake with lots of salt in it. There was a visitor center, but it was pathetically dilapidated and not worth mentioning. Oops. One of the interesting things about the lake is the brine flies that swarmed in waves around the shoreline. 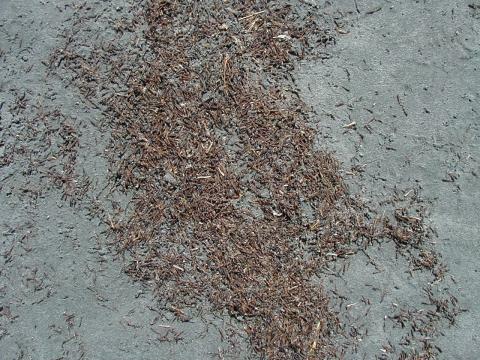 What we thought was decaying plant matter is actually brine fly larvae (be careful where you step, and don't wear sandals), and it was abundant on the beach. The lake itself is interesting because the water is more viscous than normal, which causes the ripples to travel more slowly. Referring to the gentle blend of decaying larvae, salt water, and seagull droppings, one young visitor concluded: "It stinks!" After our tour of the campus, we drove to a campground just outside Zion National Park. 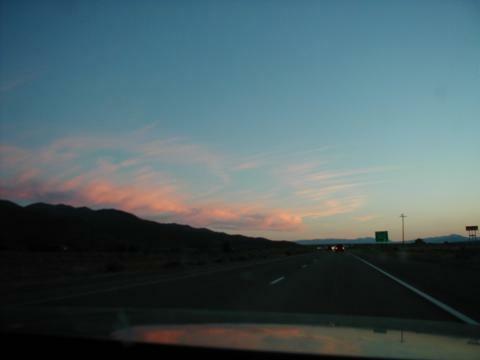 We give the Brentwood Campground and RV Resort one out of five stars. Don't bother stopping.